Alright, I'll admit it: this one's good. Spruce top, 5-piece neck-through construction, 2 volume knobs and 1 tone knob...none of the Les Paul copies out there (or the original LP, for that matter) have this. This guitar's actually got its own identity, and very well may be the new Idol's one saving grace. But still...it shouldn't be called an Idol. Call it something else, and you've got my faith back, Washburn. Additionally, do the same with the Idol shape, with duncan pups and 4 pots configuration, and sell it for $799.00, you'll sell tons of 'em. the original Idol was unique. I'm not saying otherwise. 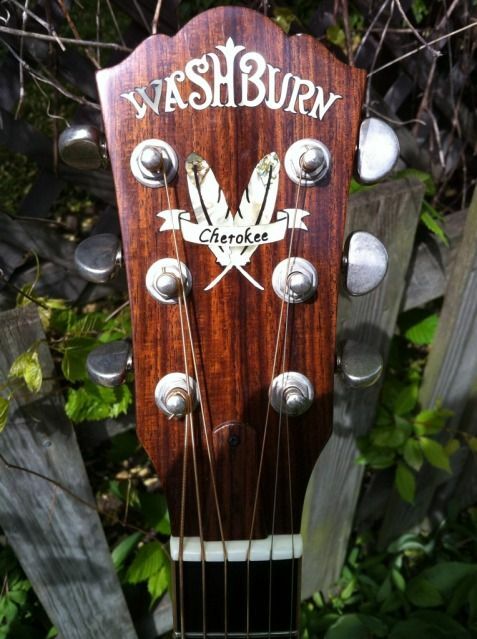 I'm just saying that Washburn actually made an attempt to stand out from the other Les Paul copies in this case. Yeah Civo you're right. Neck-Thru guitars are killer. But they need to call it something else. Shaulin's right as well, it's unique, different. That's the whole reason as to WHY I got a Washburn Idol in the 1st place, to get a different kind of guitar, not have one that everyone else has.